Source: Edgar Pettman, ed., The Westminster Carol Book (London: Houghton & Co., 1899), Carol No. 1, p. 4. Was born on this glad day. In vision clear and bright. Noel, &c.
And be ye not afraid.” Noel, &c.
Shall ransom Israel. Noel, &c.
Chanting this sacred lay. Noel, &c.
O wondrous melody! 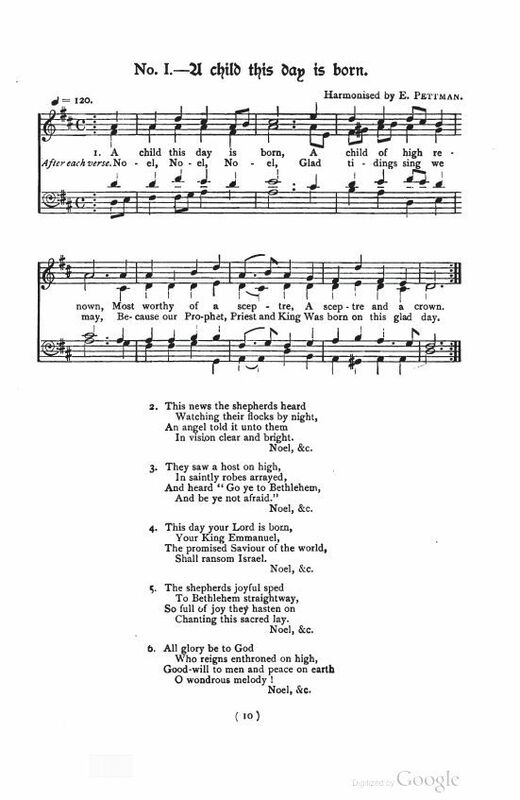 Noel, &c.
Sheet Music from Edgar Pettman, ed., The Westminster Carol Book (London: Houghton & Co., 1899), Carol No. 1, p. 4. Pettman has this same note for this carol in both collections: "No collection of carols can be considered complete if it excludes this old and spirited tune. The last six notes of the bass should be sung an octave higher for every repetition of the chorus. 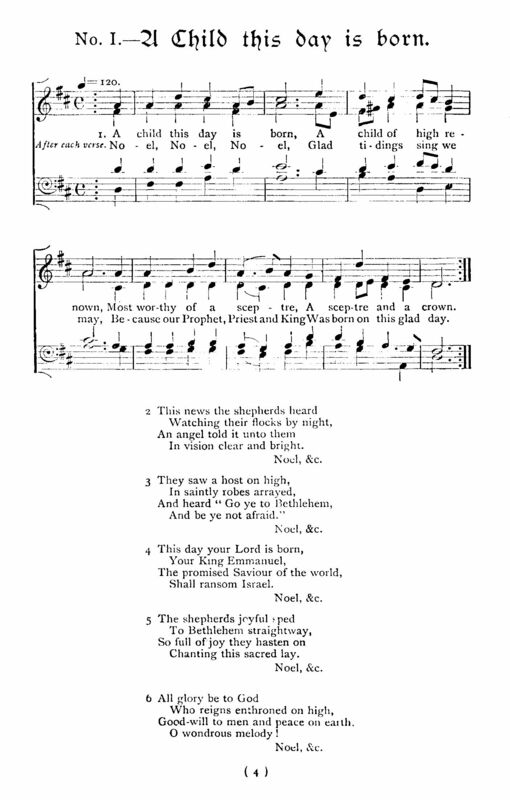 Verses 3 and 5 to be sung by the Trebles only."